I had immense pleasure in participating in the 41st New England Association of Environmental Biologist (NEAEB) conference on March 14-16, 2017 in the Hilton Hotel, Hartford, Connecticut. 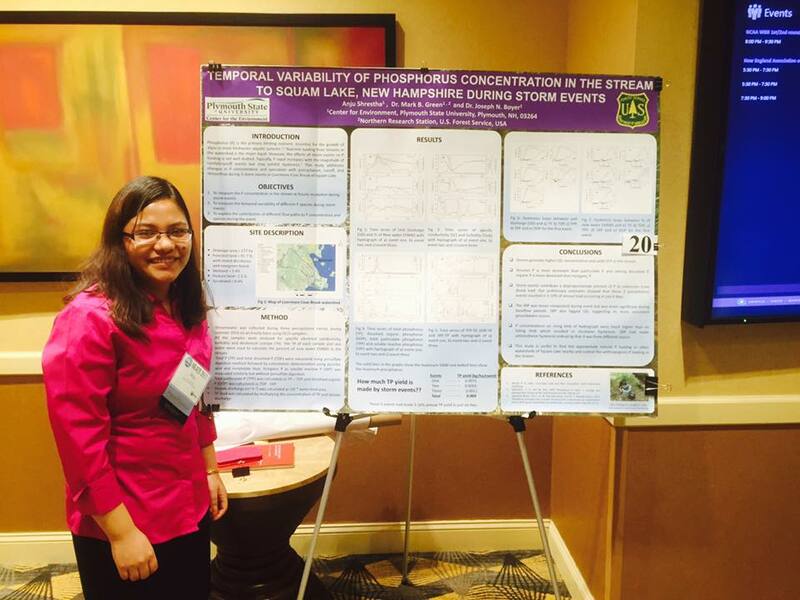 This conference was hosted by the New England Interstate Water Pollution Control Commission (NEIWPCC). Hundreds of people from the New England region (Connecticut, Massachusetts, Maine, New Hampshire, New York, Rhode Island, and Vermont) and beyond gathered to exchange their research projects in this annual forum which provided a temporary formal gathering place to enhance the advancement of environmental protection and management of the region’s aquatic resources. This conference also helped to build professional networks that allow for meaningful collaboration. 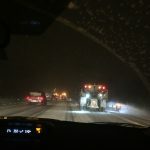 To escape the winter storm, Donovan King and I drove down to Connecticut at 2 am on March 14 to attend the conference. The storm began midway, but we drove cautiously and reached the destination at 6:30 am. This journey started at midnight and has given me a fruitful memory. I also gave a poster presentation of preliminary results from my research on phosphorus analysis. I am working as graduate research assistant under Dr. Mark B. Green, my supervisor. Dr. Green is working as a hydrologist in the Northern station of the US Forest Service and he is an associate professor of hydrology at Plymouth State University (PSU). Dr. Joseph N. Boyer is also helping in our research with his extensive knowledge on phosphorus. We are looking at the temporal variability of the concentration of phosphorus in a stream that feeds into Squam Lake, New Hampshire. I did three storm samplings in summer 2016 by using an ISCO sampler to measure phosphorus concentration in the stream to Squam Lake in an hourly resolution during storm events and tried to see how it changed with the percent of new water and unit discharge in the stream. At the conference, many people from all around visited my poster heavily and interacted with me about the results of my research and the methods I used. They were interested to use the methods I followed in their region to monitor phosphorus for better management of the streams. I was so glad to explain my work to distinguished persons from the New Hampshire Department of Environmental Service (NHDES), United States Geological Service (USGS), Maine Department of Environmental Protection, United States Environmental Protection Agency (US EPA), and many others. The conference gave me the platform to see the work of people from the New England region with similar interests as mine. It helped us to meet, discuss common issues in the region, and exchange ideas. I am so grateful to my supervisor for giving me opportunity to participate in the NEAEB conference. This entry was posted in Uncategorized by as1194. Bookmark the permalink.